I received an advanced review copy of this book from the publisher through Net Galley in return for an honest review. I usually enjoy books I receive as ARCs, and every once in a while, I love them! I felt this way about The Storied Life of A.J. Fikry, The House We Grew Up In, and The Boston Girl. And now I feel this way about Scherm’s debut novel, Unbecoming. I picked this book up in the morning, and finished it 12 hours later. It is not only a fast read, but captivating. It flows at such a nice pace, keeping you interested and moving along. We meet Grace in Paris, where she is know as Julie, working as a restorer of antiques at a not so reputable business. She is hiding from her boyfriend and his friend, who are being released from prison in Tennessee, for a robbery that she was somehow involved in, yet was never implicated. To go beyond this point in the story would be to spoil some really great plot twists, and there are quite a few! This is the first book in a long while that I devoured in a day. When I put it down, I was so surprised by how much I enjoyed reading it. I hope you will give this wonderful book a try soon. On the grubby outskirts of Paris, Grace restores bric-a-brac, mends teapots, re-sets gems. She calls herself Julie, says she’s from California, and slips back to a rented room at night. Regularly, furtively, she checks the hometown paper on the Internet. Home is Garland, Tennessee, and there, two young men have just been paroled. One, she married; the other, she’s in love with. Both were jailed for a crime that Grace herself planned in exacting detail. The heist went bad—but not before she was on a plane to Prague with a stolen canvas rolled in her bag. And so, in Paris, begins a cat-and-mouse waiting game as Grace’s web of deception and lies unravels—and she becomes another young woman entirely. 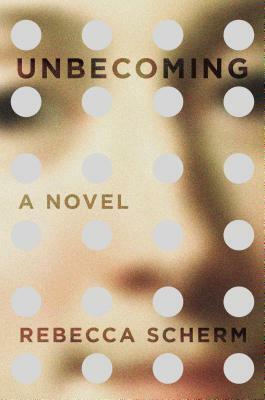 Rebecca Scherm is the author of Unbecoming, a novel. She received her MFA from the University of Michigan, where she was also a postgraduate Zell Fellow. 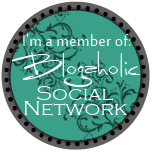 She lives in Michigan, where she is working on her second novel, Beta.